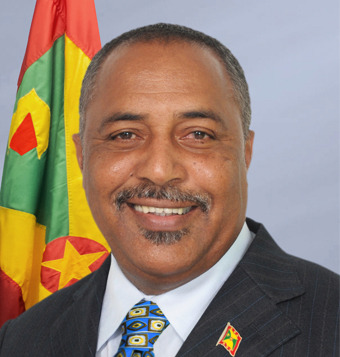 Alvin Martin Da Breo is a Grenadian politician and parliamentarian. Alvin Martin Da Breo was born in St. John's and started his early education at the St. John's Primary School and later the Presentation Boys College. He immigrated to Canada where he pursued studies in management development and electronics engineering. He is well known for his innovative approaches and practices in electronic initiatives as is a recognized authority in this area. His academic pursuit in Canada did not prevent him from contributing his professional and volunteer skills to many Caribbean Canadian organizations in the Province of Alberta. He played a significant role in the formation of the Canada Caribbean Association where he served as Public Relations Officer and shared his skills as a volunteer with the Canada Winter Olympic Games in Calgary, Canada. Da Breo is best described as an electronic entrepreneur and innovator. In Alberta, Canada, he worked for two large cable television stations and later established his own electronic firm Comtex Engineering. He later returned to Grenada where he worked as General Engineering Manager at Grenada Television. He later founded Grenada Wireless Communication Ltd where he serves as Managing Director including Wee FM radio and television. Da Breo is deeply committed to the social upliftment of the disadvantaged in his community. He remains actively involved in many local community development initiatives including sports among the youth in the outlying and rural areas of St. Johns. Da Breo is the current Minister of State, in the Ministry of Agriculture, Lands, Forestry, Fisheries, and the Environmentin the Keith Mitchell Administration. Da Breo is defending his St. John seat for the New National Party (NNP) in the 2018 General Election.